It is in January that the financial aid season begins with the FAFSA federal aid application and then the New York State (TAP) aid for state residents only. If you are thinking that your kids are not at the age for you to deal with college yet, I’m telling you that you’re wrong. Actually, you need to think about and deal with it as soon as the baby is born by opening a 529 plan account. In fact, putting aside some money before the baby arrives might not be a bad idea because the way the college tuition is set up you need as much time as possible to save. About a week ago I learnt that my daughter who is a high school senior is reluctant…no – let me change that refuses to apply to any CUNY schools. 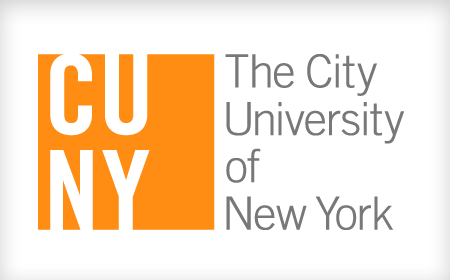 For my non-New York State readers, CUNY (City University of New York) is NYC’s public university & college system and SUNY is State University of New York, the public university on the state level. Every state and probably large cities have a public college or university. Simply translated public colleges and universities are cheaper. That’s an attractive option for parents. No, I’m not sacrificing quality over cost but U.S. News’ annual rankings show that public universities and colleges provide quality education and are increasing in their ranks. To be fair to her, she’s not the only one who is reluctant to go to a CUNY school. Per her college adviser he’s dealt with many NYC high school seniors reluctant to apply to CUNY schools. Conversations around college applications have been ongoing since her sophomore year of high school where she had dreams of only going to USC (The University of Southern California). Like really? The cost of moving her over to Cali alone would be a fortune! It was last year, at the start of the junior year where discussions about college were more frequent. She’s gone on several college trips and the allure of going away and living on campus at these big universities had her starry-eyed while they left me with sticker shock. Still, we’ve never discouraged her from applying to private colleges but we tried to let her understand that the cost of school, financial aid and scholarships needed to be a big factor in her choice of schools. When I was going through my college application process, my mom and my younger siblings were living in the US for only two years and there wasn’t anyone to offer any advice about what to do. My moot court and mock trial mentor at the time told me I shouldn’t focus on the name brand schools for undergrad but should consider them for a graduate degree such as law school, masters etc. It was a good strategy but the school I chose, Pace University and later Marquette University were still too expensive even after I was offered a scholarship. A lifetime of student debt is not one that I’ve envisioned for my child. I’m still paying student loans and I’ve been out of school for over 13 years!! I get it, kids want to leave the nest, live away from home and have the dorm experience. I get it. But while she may be ready to fly the coop, she might find herself back in the coop if she ends up with a ton of student loans after school. 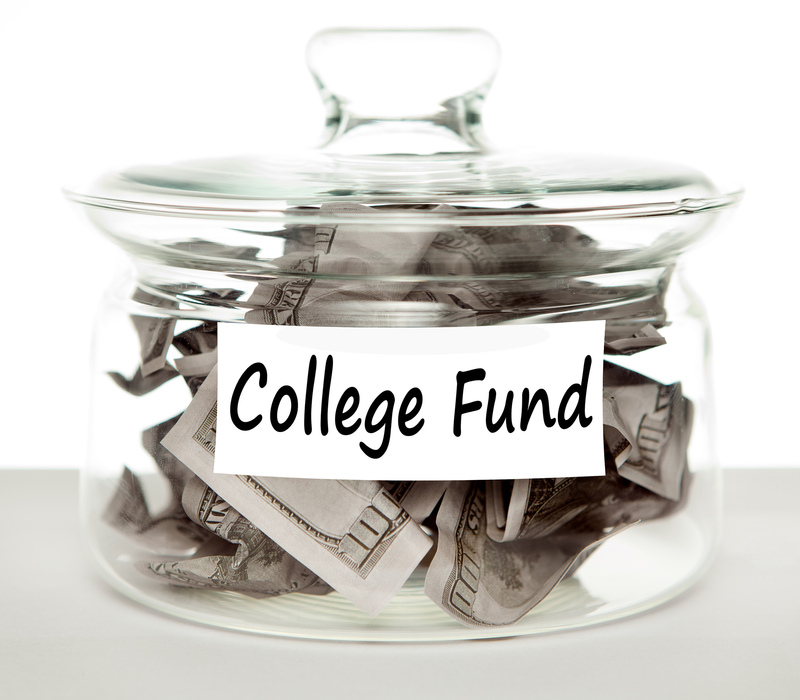 High school juniors and seniors need to understand the financial choices that go along with college applications. The way things are set up nowadays, it’s not enough to have a Bachelor’s Degree, most jobs are now looking for Graduate degrees. So the strategy that I was given in high school in addition to learning from my past mistakes I’ve offered to Ariel. It’s best that students attend a low-cost but quality school for undergraduate studies and then apply for graduate school at “name brand” institution. At the end of September this year, she declared that she is not considering attending private colleges because they are too expensive. Of course I asked her if she was sure and she said she was. She’s now focusing on applying to SUNY schools including Buffalo State, Cortland, Plattsburgh and Albany which are still affordable considering private schools. However, considering that these schools are upstate New York, room and board would need to be factored in and the tuition has doubled. Yes, they’re still cheaper than private schools but the cost just doubled and we haven’t even factored in the cost of books and other expenses. I’ve had numerous conversations with her, very calm and supportive conversations with her about the benefits of applying to a CUNY school. I was more suggestive and tried to explain my suggestions in a non pushy way. My sister-in-law, who she is very close with discussed the financial advantages as well as the quality of the schools with her. We’ve made it very clear to her that we are not forcing her to go to only a CUNY school but it should be a consideration based on the cost value and if she wants to go to other schools then she needs to play her part in working hard in school to get excellent grades so she can get scholarships. I will not go into the plight of the dwindling/vanishing middle class but really – there’s no more middle class really. In a two parent working family there’s little to no financial aid offered to us. Having a 529 account is a blessing and a curse because at least you have some money saved but that money is never enough and by virtue of having that money saved, schools think you have it! I mean we can’t win! In a New York Times article one mother lamented how both her and her husband did not have any money saved up for college for their son who is a high school junior. I recently watched Real Time with Bill Maher where Senator Elizabeth Warren was a guest. They discussed among other things, how the government profits on student loans.The discussion on student loans start at the 1 minute mark. Full time students at a four-year CUNY college has a tuition of $6,030 per year. Factor in another $600 in fees and the approximate cost is $6,630 per year. The typical undergraduate cost at a SUNY is $6,170 per year. If you factor in room and board and other fees, the approximate cost is $19,602 per year. Her college adviser is one of the best college advisers in the city and every day I get emails from him reminding me of deadlines, college visits, college fairs and other helpful resources. Her school’s college adviser is a proponent of students applying to CUNY because they are an affordable alternative for most families. So imagine, my horror when my child tells me that she plans to apply to only four schools and there was no CUNY included in them. She needs options and lots of them too! She has the grades, being a recent inductee to the National Honor Society, but I’m trying to manage her expectations and be realistic. In my previous job, I’ve hired part-time employees who were also students of CUNY schools. 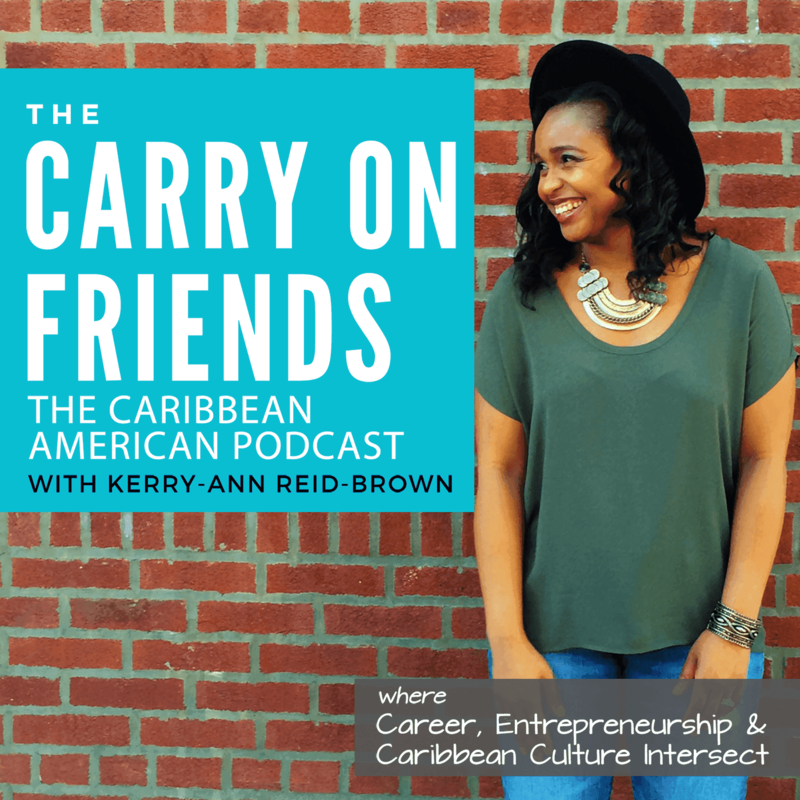 They’ve done study abroad, graduated with high GPAs and are now at law schools including Harvard and Tulane or with Masters Degrees or other graduate programs at NYU (New York University) and Columbia. For those of you with students who are not open to applying to CUNY, which is often the least expensive college option for many students, please take a minute to read “The college admissions story you need to read seriously.” It’s all about the mindset and that is why campus visits are necessary where possible. Even local campus visits are important. If you go in with a crappy mentality or attitude about going to public college or university then chances are you’ll have a crappy experience and really created your own self-fulfilling prophesy. So what would any self-respecting Jamaican parent do in this situation? 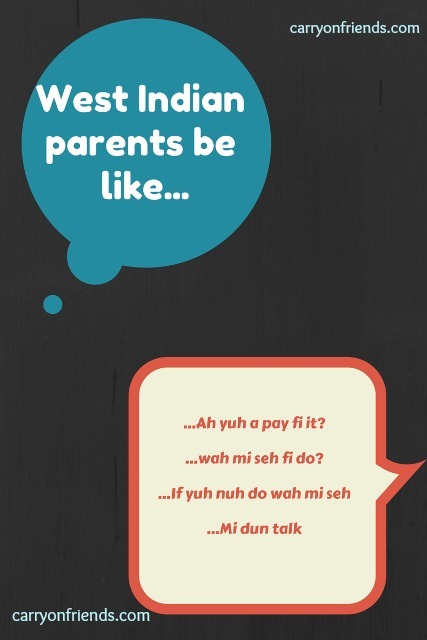 Draw for the old school Caribbean parent strategy and I give my child an ultimatum wid brawta (Jamaican for “and then some”). I told her, because after months of suggestions which obviously wasn’t working, that she must apply to a least two CUNY schools. And if she doesn’t apply then I will not be submitting any of the financial information she needs for FAFSA or TAP. Harsh? Of course. I’m her parent and while I encourage her to make independent decisions – I am still responsible for making the decisions in her best interest and when there are thousands and hundreds of thousands of dollars involved, a seventeen year old cannot make these decisions. If you haven’t started a college savings account, it’s not too late to start a 529 plan college savings account. A lifetime of loans is not the move nor as parents do we want to add a large parent plus loans to our existing debt. Was I too harsh giving her an ultimatum? What would you have done differently? 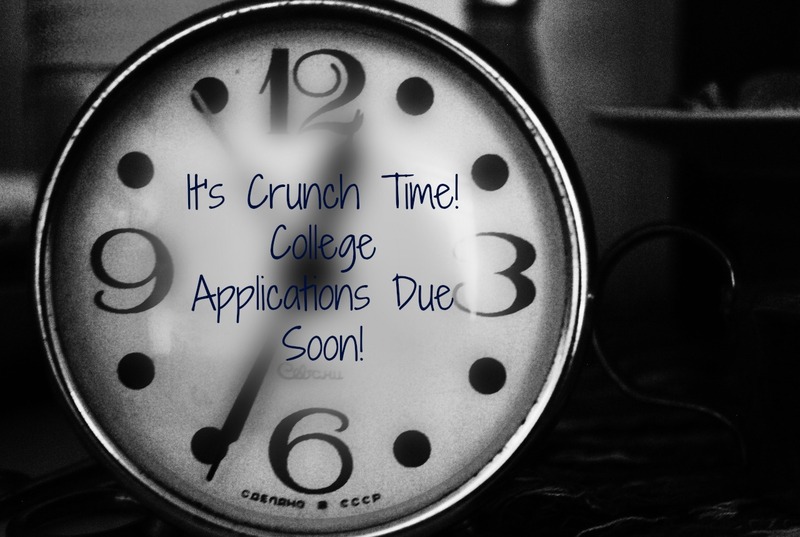 What is your thought on the college application process? Better yet how have you been preparing or saving for your child’s college education? This post was featured in the Rattle and Roll Link-Up Party.